London is a vibrant, dynamic World City with Royal palaces, a fascinating culture, gorgeous boutiques and galleries galore - but it can all be a bit daunting for the tourist. 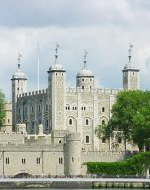 London will also be busy hosting the Royal Wedding of the Year in May at Windsor Castle! So to get the most out of your holiday, you'll need an informed, qualified, professional guide to explain how it all fits together- a Blue Badge Tourist Guide! Whether you have a few hours or several days, your stay will be enhanced by me walking and talking you through the highlights. I have the highest level of accreditation available from the Institute of Tourist Guiding, I have undergone a thorough training and examination process and I am a fully insured member of the Guild of Registered Tourist Guides and the Association of Professional Tourist Guides. 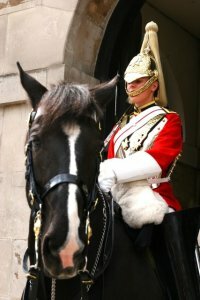 A city of contrasts, London is both the cradle of pomp, pageantry and history and all things groundbreaking and cutting edge. 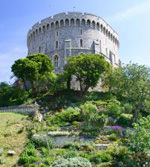 It is a chameleon city, constantly reinventing itself and during this coming year, it will be preening itself in the global spotlight as it gets ready to host the Royal Wedding of the Year in May. So get here first and see the best, "MUST SEE" sights with me! The largest British church, over 700 years old and the final resting place of British Monarchs. Come and see the Coronation Chair (yes, as seen in "The King's Speech"!) and the venue for THAT wedding. Half National church, half museum, the Abbey contains the largest collection of monumental sculpture in the World. 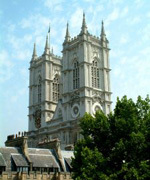 Blue Badge Guides are the only private guides allowed in the Abbey and accompanied groups receive a discount upon entry. See the World in a morning on my "Highlights Tour! 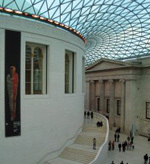 With 2.5 miles of galleries and free admission, get ahead of the crowds and see the Rosetta stone, the Parthenon Marbles and the Egyptian Mummies with me, your Blue Badge Tourist Guide. 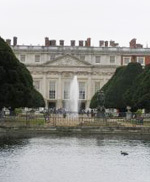 Less than half an hour from central London, Hampton Court is two royal palaces in one, combining Henry VIII's Tudor home and Sir Christopher Wren's Baroque extravaganza. The estate offers a 300 year old maze, the longest vine in the World and gorgeous 17th and 20th century gardens, plus a restaurant on the site of a 16th century jousting yard! I've passed the Institute's exam enabling me to guide the Olympic Site in Stratford in East London! Walk with me through the New Queen Elizabeth Park and see the Stadium and the Aquatics centre. Hear all about the amazing London 2012 Games, the different venues, the stories of the athletes, the "Olympic Legacy" and the continuing sustainable plans for the Park. Be different to other tourists and visit a unique collection of one family's obsession with all things gorgeous and exotic! The Wallace is a "cultural oasis" amidst the shopping frenzy of Oxford Street - you will be transported to another world!. Admission is free and there's also a rather lovely restaurant in the courtyard! 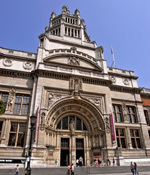 One of the World's best art collections, the National Gallery has paintings from the 13th century to 1900. With my 2 four Highlights Tour, you'll see the famous works by Botticelli, Leonardo da Vinci, Holbein, Turner, Constable, Monet and Van Gogh and admission is free! And why not visit Tate Britain and Tate Modern with me - where you'll find 500 years of British Art and World Contemporary Art at its best! The largest collection of decorative arts in the World, with works from all periods and all continents. My Highlights Tour includes the best collection of Italian sculpture outside Italy, the amazing British Galleries (16th to 19th century) and not forgetting the Fashion section, with 18th Court dresses, 1920's Chanel evening wear and the inimitable Alexander McQueen and Vivienne Westwood!